They’re uncivilized, untamed and eager to take more than a bite out of the Big Apple. Do you have what it takes to bring them home? The original Gremlin, Gizmo, and his nemesis Stripe have formed an uneasy truce and are eager to take over your house as a Vynl. duo. 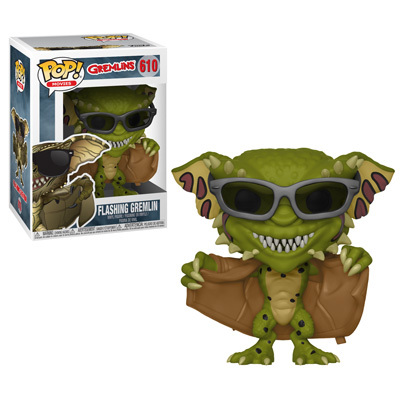 Just remember: no food after midnight and don’t let the Gremlins come into contact with water. 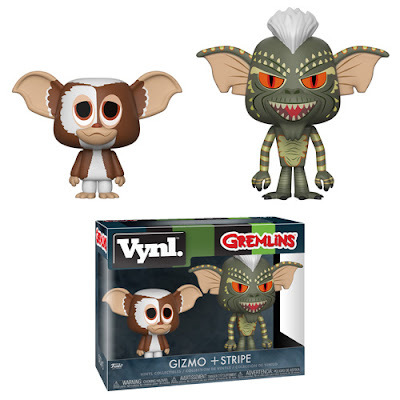 A few of Gremlins 2’s most recognizable monsters are now available as Pop! Vinyl collectibles. 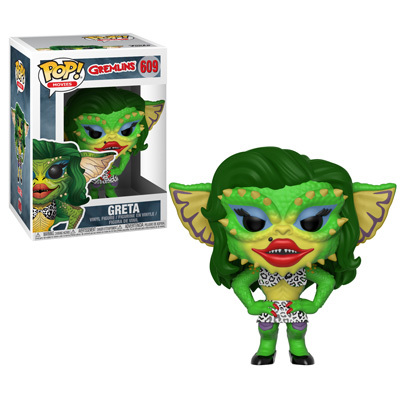 Greta, the fabulous first female Gremlin, and the Gremlin flasher, complete with trench coat and sunglasses to avoid easy identification, are eager to join your collection.